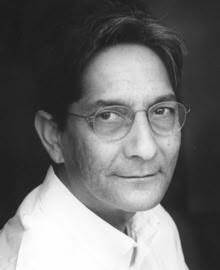 Born in Johannesburg, Achmat Dangor lived a nomadic life in the years after completing high school. Sojourns in Cape Town, Port Elizabeth, Grahamstown, Kimberley, Victoria West and a small place called Buurmansdrift near Mafikeng greatly influenced his attitude towards life and literature. The small rural towns in particular infused what describes as the 'outsider' theme that threads through his writing. Politically active from an early age, he was 'banned' for 5 years (1973 - 1978) by the previous South African Government. These were silent but productive years, when unable to socialise, attend meetings or indulge in the things writers love to distract themselves with, Achmat wrote endlessly. He has published three novels, three poetry collections, numerous short stories, plays and filmscripts. He lectured South African literature and creative writing at New York's City University (Harlem Campus) and worked as a rural development specialist for a major non-government development organisation. Subsequent to his directorship of the Independent Development Trust (mentioned above) he became the Director of the Nelson Mandela Children's Fund, a position he held until 2001 when he moved to New York, where his wife is temporarily working for the United Nations.